Warehouse injuries are extremely expensive, and needless to say because of this, warehouse safety is extremely important. The even bigger reason to focus on safety is the well-being of your employees - they need to come first. There are many things you can do to avoid workplace accidents and to maintain a safe workplace for your employees and the environment. It is important to establish a proper safety protocol, conduct regular safety training, follow long-term and short-term housekeeping procedures, and have the proper safety products and equipment. 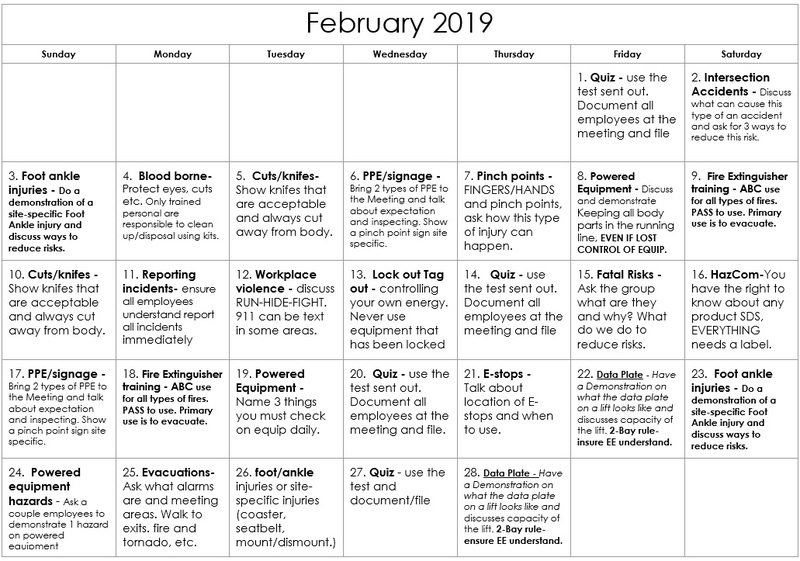 Please use this monthly safety calendar to go over topics with your employees that will allow your managers to establish proper warehouse safety protocol and conduct regular daily and monthly warehouse safety training schedules. 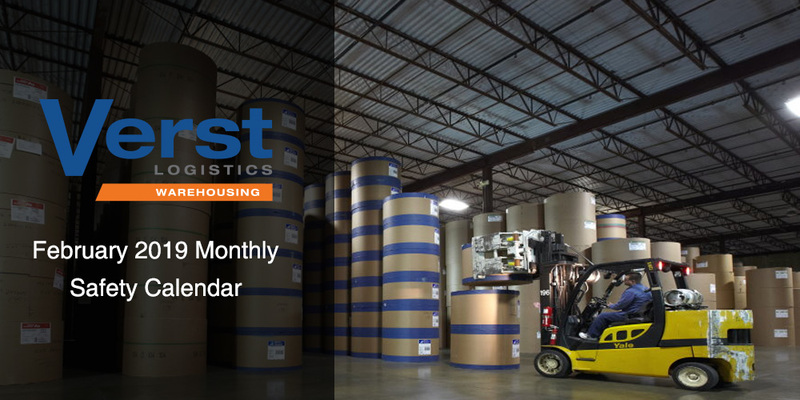 Please use our monthly warehouse safety calendar below as a guide for your safety meetings.